Pastor Weberg was born into a Christian family in southern Minnesota, and was saved at the age of three, when his mother presented to him John 3:16, substituting his own name for “whosoever.” Though he grew up attending a Christian school, ministry was not his focus, until as a junior in high school, he required knee surgery after a soccer injury. Sidelined from an entire season of basketball, he realized that sports had become his god. Following surgery and several months of therapy, he went with his youth group on a mission trip. It was during that week that he realized the joy of Christian ministry and surrendered to a life of full-time Christian service. Since then, God has led him to the pastorate, serving three years as a youth pastor in central PA, and as senior pastor of Valley View Bible Church since March of 2008. 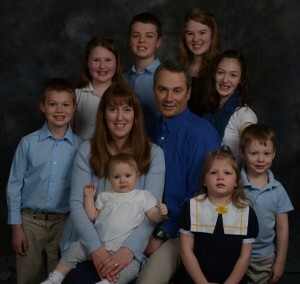 Ryan, and his wife, Colleen, are the proud parents of five children: Kyle, Caleb, Kimberly, Caressa, and Kailey. Pastor Weberg earned both his M.Div. and Th.M. from Calvary Baptist Theological Seminary. 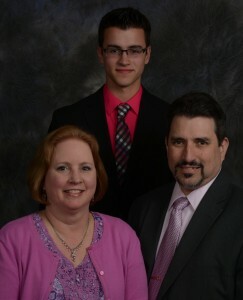 Dan and his wife, Kim, are lifelong residents of the Indian Valley. Both accepted Christ as their Savior through the ministry of Valley View Bible Church in 1990, and joined shortly thereafter. 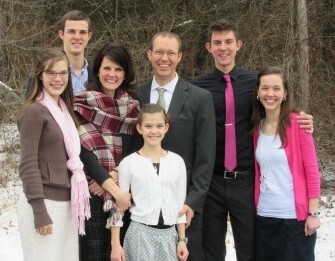 The Lord has blessed them with four wonderful children. Dan has served in many capacities at Valley View, including deacon, Truth Trackers director, and youth leader. Mike came to know the Lord, Jesus Christ in a personal way at the age of twenty-two while listening to a radio broadcast. It was then that he realized that he was separated from God by his sin, and believed that Jesus Christ took the penalty for his sin when He died on the cross. It was at that time that he was, as the Bible says, born again. Since that time Mike has had a desire to know God better through his Word and to help others to know Him as well. Mike works as a physical therapist in a local nursing home. He and his wife, Rachel, have eight children. Chris hails from the Midwest, and has been frequently acquainted with God’s patient direction. Growing up in a Christian home, he frequently heard about spiritual things from his family and the church they attended. Although the oldest child, he was the last to accept Jesus as his Savior. Following a teen activity, Chris dedicated his life to serving God in whatever capacity God deemed. 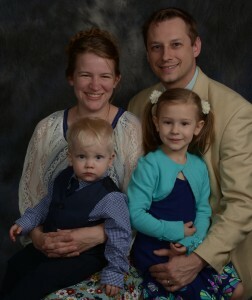 Chris and his wife, Sarah, have two children: Cassie and Shane. The church acknowledges Jesus Christ as its only head and the Bible as its only infallible guide in matters of faith and leadership. Its government is vested in its active membership and executed through the Administrative Team. This congregation functions not as a pure democracy, but as a body under the headship of the Lord Jesus Christ and the direction of the pastor as the undershepherd with the counsel of the deacons. Determinations of the internal affairs of this church are ecclesiastical matters and shall be determined exclusively by the church’s own rules and procedures. The pastor shall oversee and/or conduct all aspects of this church. The deacons shall give counsel and assistance to the pastor as delineated herein or as requested by him. The Administrative Team shall consist of the pastor(s) and deacons, with the senior pastor serving as the chairman of the Administrative Team, and the chairman of the deacons serving as the vice-chairman. As an accommodation to legal relationships outside the church, the pastor shall serve as the president of the corporation, the chairman of the deacons as the vice president of the corporation, the recording secretary as the secretary of the corporation, and the treasurer of the church as the treasurer of the corporation. The pastor of this church shall be in harmony with both the Statement of Faith and the constitution of Valley View Bible Church. He must display the personal qualifications for the office of pastor described in 1 Timothy 3:1-7, Titus 1:6-9, and 1 Peter 5:1-3. He shall not be a member of any ecclesiastical group or fellowship associated with ecumenism or spiritual compromise. According to 1 Timothy 3:1-7,Titus 1:6-9, and 1 Peter 5:1-4, the office of pastor provides tender leadership in the work of the ministry. As such, his authority is not dictatorial, but self-sacrificing (i.e., as the Chief Shepherd – Christ). He shall devote himself to prayer and the ministry of the Word and shall be at liberty to preach the whole counsel of the Word of God as the Lord leads him. He shall have the general oversight of the spiritual life of the church, regular services, and the administration of the ordinances of the church. He shall be responsible to the church as its delegated authority for the creation, direction, assignment, operation, and evaluation of all the church’s ministries. The qualifications of deacons shall be those set forth in 1 Timothy 3:8-12 and Acts 6:1-6. According to Acts 6:1-6 and 1 Timothy 3:8-12, the office of deacon provides assistance to the pastor[s] in the work of the ministry. As such, their authority is not inherent, but delegated (i.e., by the pastor[s]). The deacons are responsible to the church at all times and in all matters.